10.4 In LCD replaces Toshiba D12CX73, 12 In Color CRT Monitor used in Allen Bradley 8400. 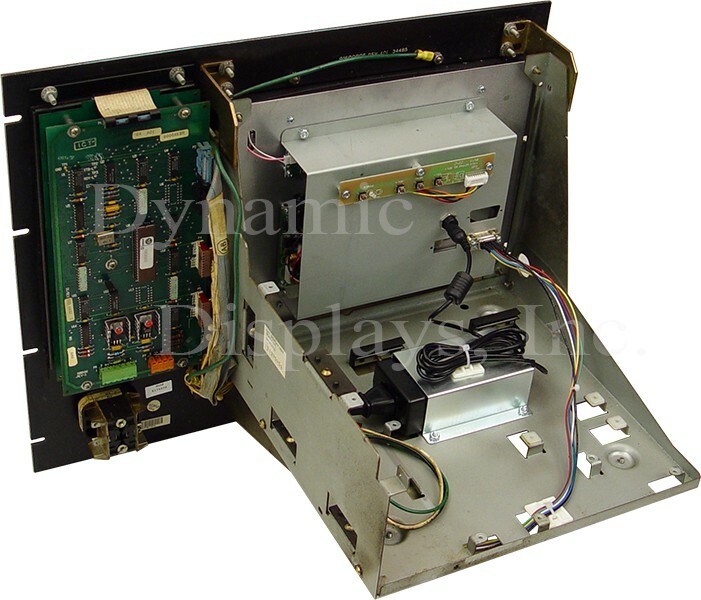 Model QES1510-025 10.4 In LCD replaces Toshiba D12CX73, 12 In Color CRT Monitor used in Allen Bradley 8400 MP. Drawing on over 20 years experience of manufacturing rugged displays for the OEM industrial market place, DDI has developed LCD display solutions for a wide range of CNC Machine Tools, Factory Automation, Process Controls and other legacy manufacturing systems. Our rugged, industrial-grade QES1510-025 open frame display employs a high resolution Active 10.4" Matrix color LCD with a viewable screen area comparable with any 12" CRT. 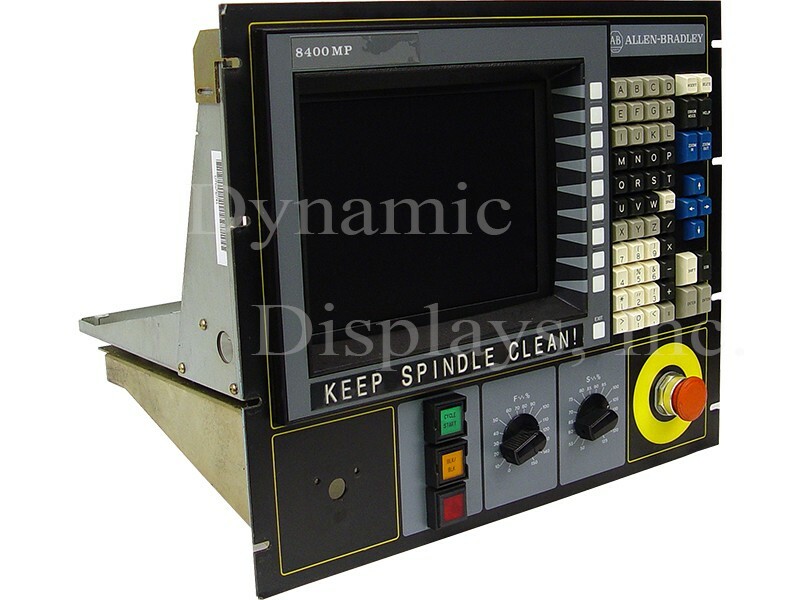 No matter how old, or complicated, the CRT monitor in your CNC machine might seem to you, we assure you that we have a worry-free replacement LCD monitor. In our QES1510-025 10" Color LCD, we’ve incorporated the latest microprocessor controlled A/D boards with a HEX file specifically programmed to ensure compatibility with the Allen Bradley 8400MP system video signals. The painstaking effort to correctly match our LCD monitor model to the Allen Bradley OEM video signal results in a bright, sharp, crisp image for your CNC control system. 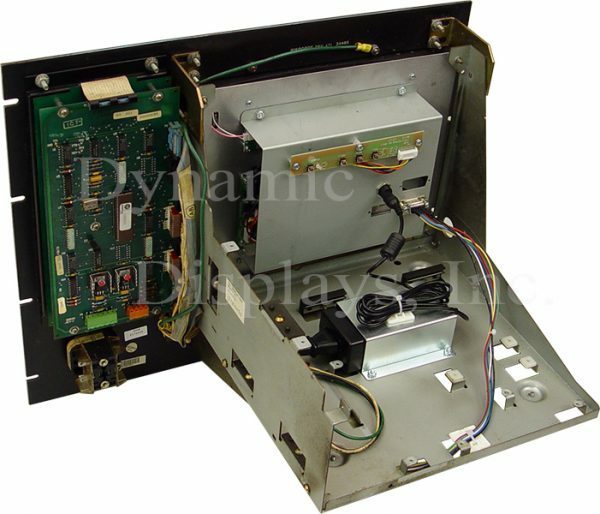 Now, Dynamic Displays, Inc. offers an economical 10.4" LCD monitor replacement for the obsolete Toshiba D12CX73 12" CRT monitor in the Allen Bradley 8400MP Control. Our model QES1510-025 LCD monitor has a rugged steel chassis designed to drop into the mounting holes of the original Toshiba D12CX73 CRT Monitor. This new 10.4" LCD monitor has mating video and power input connections and with circuitry and firmware engineered specifically to work in your legacy Allen Bradley 8400MPcontrol.